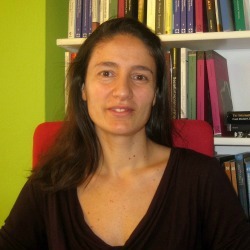 Rocío Nogales is Executive Director at EMES since 2004. She graduated from the University of Seville, Spain (BA in Communications) and earned a Masters in Art Management at Carnegie Mellon University (US), a Masters in Art History at the University of Pittsburgh (US), and a Masters in Management Science at the University of Liege (Belgium). She is currently completing her PhD thesis at the University of Barcelona. Her professional experience includes the cultural non-profit sector, where she managed a social enterprise initiative in a community arts centre in the US. Her research interest is social innovation and the management strategies operating in third sector organizations. As responsible of the dissemination for the project, she will be in constant communication with the consortium, ensuring a fluid communication among participants as well as with stakeholders. Moreover, she will ensure that all deliverables of WP7 are produced on time and according to high quality standards.